Other demonstrated 13C applications include: fat malabsorption, pancreatic function, lactose intolerance, bile acid circulation, gastric emptying, liver function and metabolic turnover rate measurements. 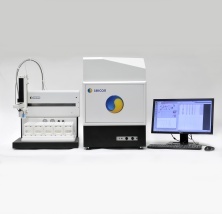 The gas autosampler has been chosen to be the most robust and reliable gas sampler in the marketplace. With over 17 000 similar units installed, you can be confident in its efficacy. 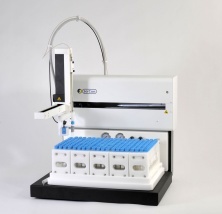 Incorporating a bespoke multiple access rack system, with space for up to 240 samples, the sampler may be reloaded at any time. The sample number is limitless so potentially up to 480 samples can be analysed within a 24 hour period. Using the optional barcode reader, sample and patient codes can be read into the software as the analysis progresses. This sampler is available as an upgrade for all ABCA systems to ensure all users can benefit from its versatile performance.